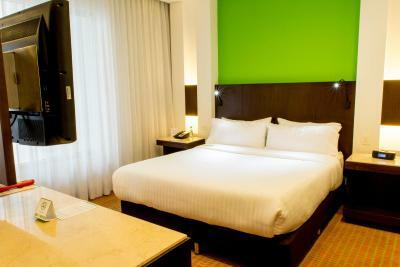 Lock in a great price for Holiday Inn Bogota Airport – rated 9.1 by recent guests! Super Friendly staff and fabulous food! Super great for in between country flying. Had a 10 hr layover between flights and this was great to chill out, workout and eat. Not the Holiday Inn that I know in the USA, this was awesome! The staff was very friendly and helpful. In particular, Ivonne was exceptional! She was very tentative to your needs and she also spoke good English which made it helpful for me as my Spanish is limited. Thanks Ivonne! The hotel is beautiful. The breakfast buffet is delicious and the restaurant has great food. The customer service is fantastic. They exceeded my expectations. I will be staying here again. My son and I loved it and we cannot wait to stay there again. Especially the desk staff, people received me with a very professionalism and courtesy. The hotel (for business and few domestic flights) is placed perfectly!! They have a free shuttle 24 hours that met my expectations!! Great shuttle to and from airport. Would go back again. They were very accommodating and willingly changed the arrival date when my flight was cancelled and rescheduled for the following date. They sent a van to meet me at the airport and even waited there when my flight arrived almost 1 hour late. 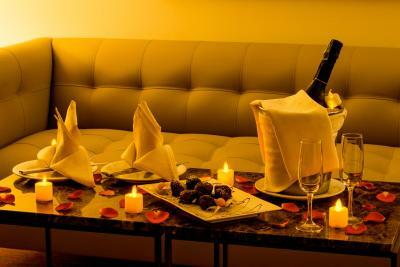 The food was excellent and the staff were friendly and helpful. Thank you Victor and Diana for your efforts. you can have choices on the pillows. They offer the type of pillow that is not too big. 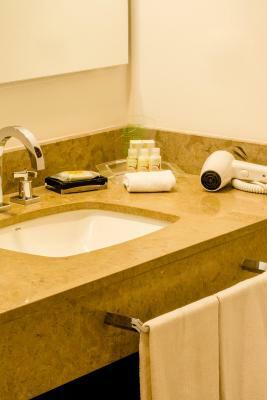 Great location near the airport, which is perfect for a one night stay. Free airport shuttle is provided to and from the airport every 30 minutes or so. Beds were large, soft, and comfortable. Everything in this facility is very spacious, from the lobby to the rooms. The hotel provide a shuttle bus from/to airport. It is close to the airport; o more than 15 minutes. 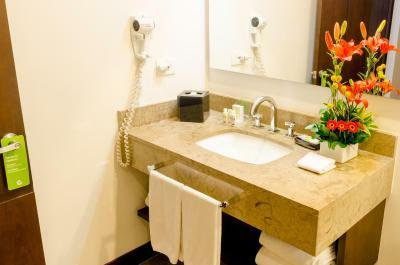 Holiday Inn Bogota Airport This rating is a reflection of how the property compares to the industry standard when it comes to price, facilities and services available. It's based on a self-evaluation by the property. Use this rating to help choose your stay! 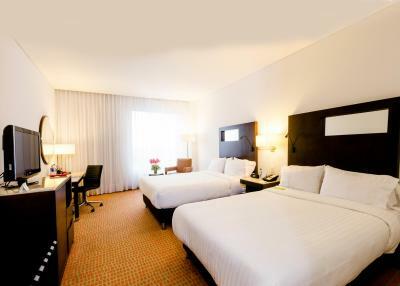 Featuring a restaurant and a fitness center, Holiday Inn Bogota Airport offers rooms with free Wi-Fi and air conditioning in Bogota. Airport shuttles are provided. Corferias Convention center is a 5-minute drive away. 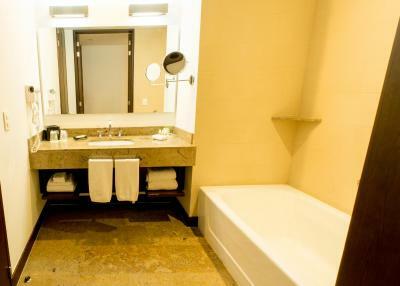 Fully carpeted, rooms at Holiday Inn Bogota are fitted with satellite TV and mini-bars. Some of them have separate seating areas. Breakfast is served daily. International dishes can be ordered at the property’s restaurant. The lively Zona T with its bars and restaurants is 7.5 mi away. Free airport shuttles are provided and are subject to reservation and availability. 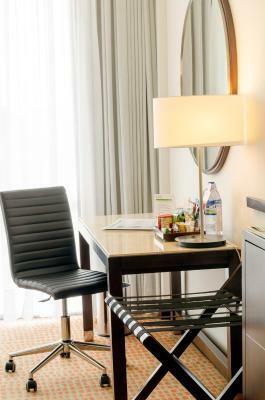 Holiday Inn Bogota Airport is a 10-minute drive from El Dorado Airport and 1.4 mi from Gran Estacion commerical area. 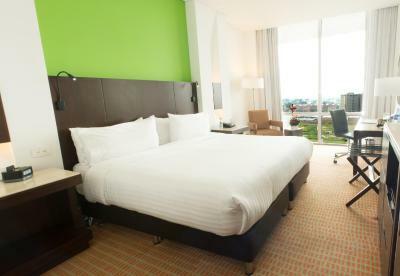 When would you like to stay at Holiday Inn Bogota Airport? 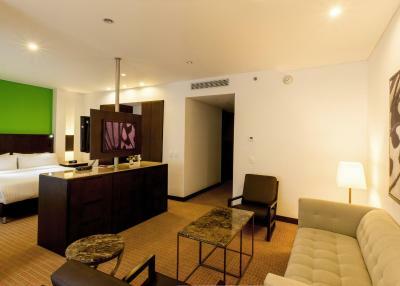 This standard king room offers air conditioning, a mini-bar, a safety box and it is soundproofed. It features free WiFi and a cable satellite TV. Public parking is available on site (reservation is not possible) and costs USD 1.57 per day. Features air conditioning, mini-bar and satellite TV. 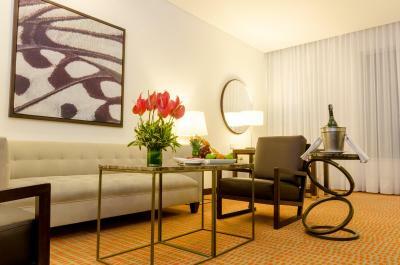 This executive room features a king size bed, a sofa bed, mini-bar, air conditioning and it's sounfproofed. Free WiFi and a flat-screen satellite TV is included. This executive room features a king size bed, a linving area, mini-bar, air conditioning and it's sounfproofed. Free WiFi and a flat-screen satellite TV is included. 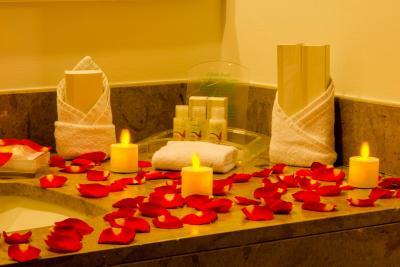 House Rules Holiday Inn Bogota Airport takes special requests – add in the next step! Any additional older children or adults are charged USD 9.40 per night for extra beds. 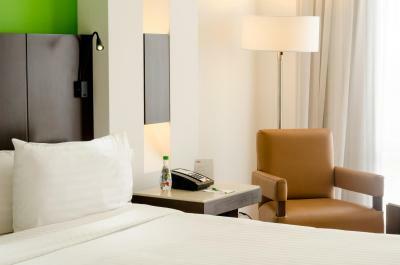 Holiday Inn Bogota Airport accepts these cards and reserves the right to temporarily hold an amount prior to arrival. I was unwell during my stay and the Hotel staff organised a doctor to check up on me. 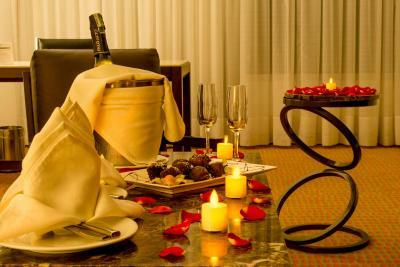 The Hotel service was the best I have every experienced. Thankyou for a great stay and I will see you again next time I’m in Bogota.